Put a ring on it: camera tracking allows 3D gestural control on any iOS device. Clearly targeted partly at non-musicians, IK hopes to give you a fun way to control an iPhone, iPad, or computer software beyond touch. Talk to the hand, iPhone. Wave-your-hands 3D motion has seen various dedicated accessories – most recently, in the Hot Hand USB wireless and Leap Motion. Even Steinberg are in on the act. But this is definitely a new take. 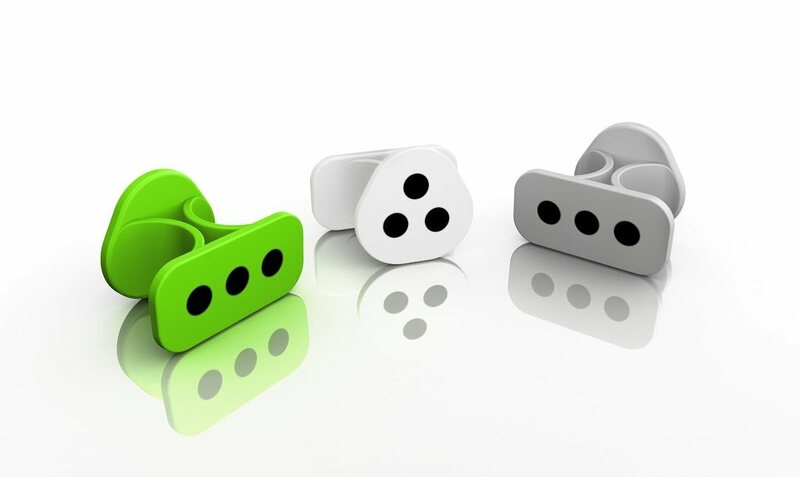 IK Multimedia have a plastic “iRing” you wear on your finger that gives you control of your iPhone, iPad, or iPod touch. 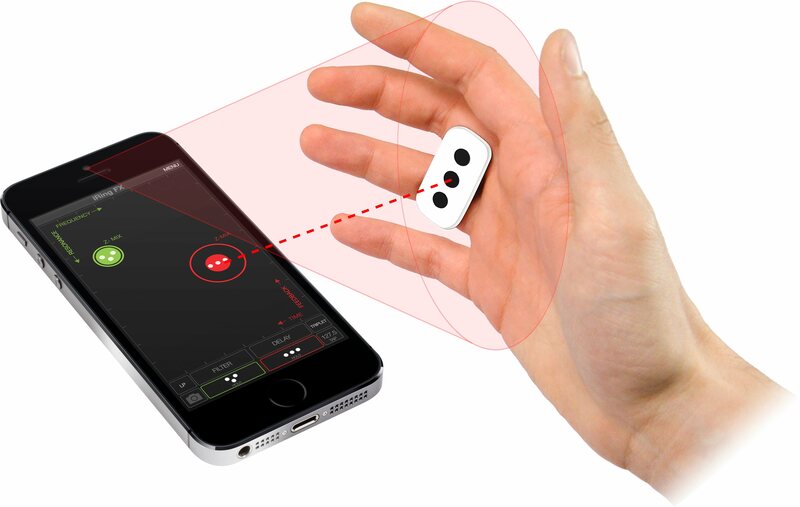 The system uses the internal, front-facing camera on your iOS device to track the position of your hand. The dots on the rings are a marker that the camera follows through space. There are actually markers on both sides, so you have control whether you’re facing your device palm-forward or with the back of your hand. X and Y position, as well as Z position (distance from the phone or tablet) are all assignable. You can also use two rings at once, for six simultaneous controls. 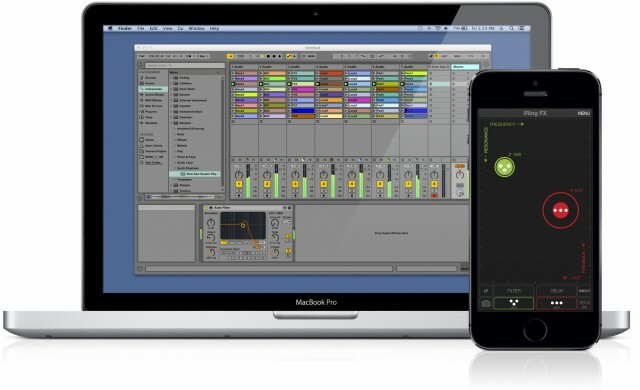 X, Y, and Z are all assignable, including via two free apps from IK. Photos courtesy IK Multimedia. IK is also offering a free SDK and licensing program for developers who want to join in on the ring action. Compatible with iPhone 5s, iPhone 5c, iPhone 5, iPod touch (5th, and 4th generation), iPad Air, iPad 4th generation, iPad 3rd generation and iPad mini. iOS 6.0 or later is required. Built-in effects with AudioBus/Inter-App Audio to add effects to other apps: stutter, Fuzzy, Crush, Twist, Brake, Spin and Tail. 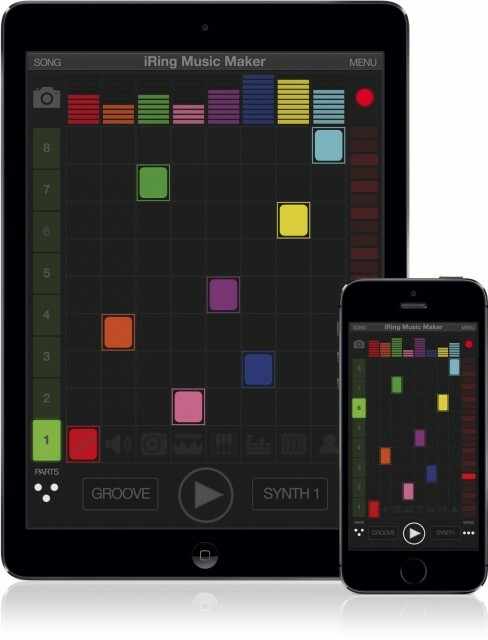 iRing Music Maker: Similar to their GrooveMaker app, says IK, this app lets you assemble music from grooves, loops, and the like. Here’s what’s crazy: you switch loops, change effects, all from the ring. Pricing: $24.99/€19.99 (exc. taxes), availability Q1 2014. A preorder is on now. iRing MusicMaker is a groove-based app that uses the rings. What’s unique here is how ambitious that is – even swapping loops is controlled gesturally. If all you want to do is control some effects parameters in desktop software like Ableton, that’s possible, too. Because it uses the camera, I don’t expect this to have the accuracy and latency performance of a dedicated device. However, I am very keen to see how well it does work – and there’s a big advantage to being able to use the camera your device already has. And I’ll hold off on any real judgment on performance until I try this. Also, we have a “wave-your-hands” featurette in store for you soon, given these various options. Whew, we got through that whole story without a single Tolkien reference. Bonus video: yes, this works for gaming.